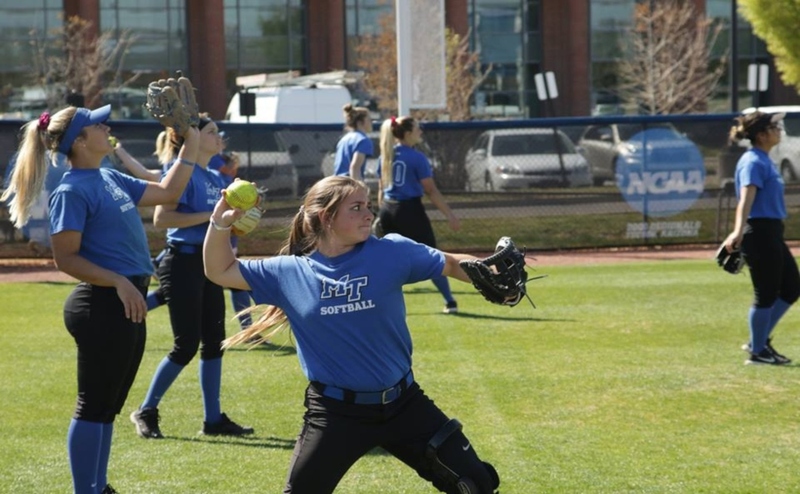 Despite the bad weather, the Middle Tennessee Blue Raiders gained a conference victory against the Blazers of the University of Alabama-Birmingham by a final score of 3-1, the two teams’ first meeting since March 22, 2004. 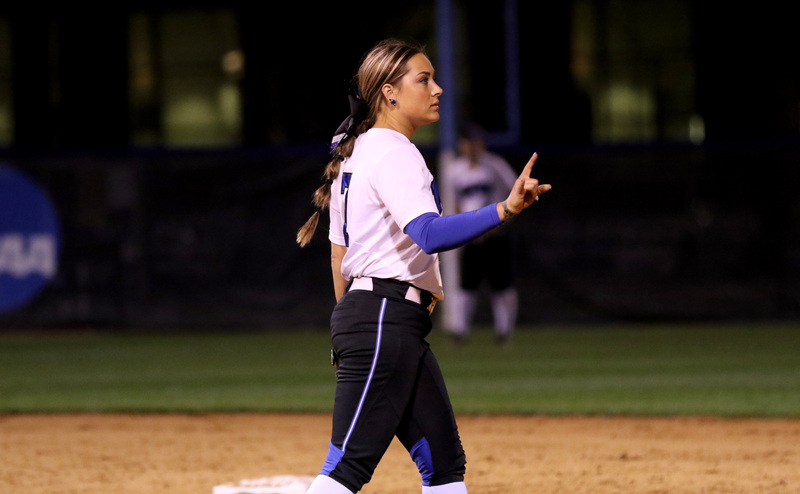 The Blue Raiders struck first as a fielder’s choice by Whaley scored Summer Burgess giving MT the lead. Middle added to the run column in the bottom of the third as Morgan Harris singled to score Burgess again. Whaley hit a sacrifice fly to center field to score Precious Birdsong and extend the Blue Raider lead to 3-0. After struggling for the past few weeks, Whaley came up big when the team needed her. The Blazers came back in the sixth with a run of their own with a double to cut the lead by two. 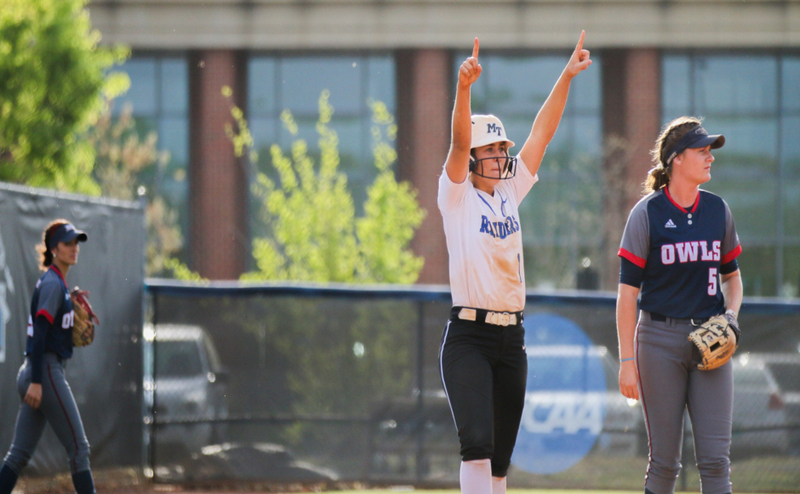 They had an opportunity to come back with two runners on and two outs, then Cori Jennings struck out the final batter to give MT the 3-1 victory. Jennings showed in this game why she is the ace of the pitching staff. The Bushcreek, TN native pitched a complete game, her 16th of the season, allowing one run off one hit and striking out four. With this game, Jennings now has nine wins on the season and lowered her earned run average to 2.12. Although she put together another great performance, Jennings was quick to credit her teammates with her success. 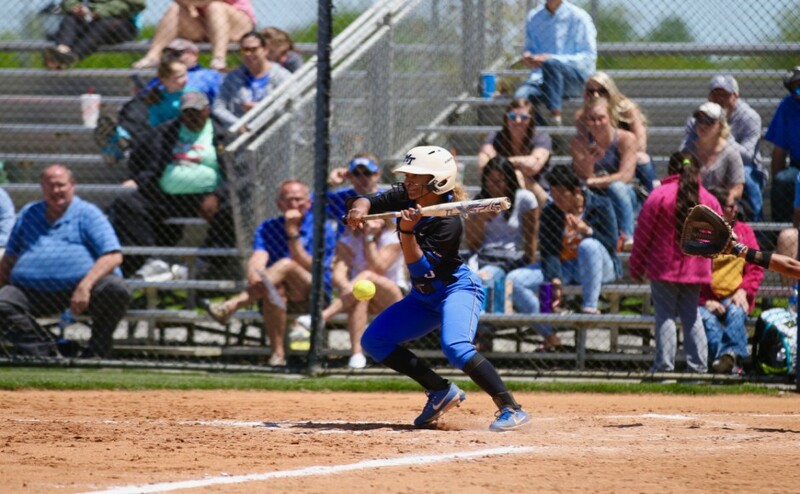 Middle Tennessee played consistent defense, despite having two errors in the top of the fifth. 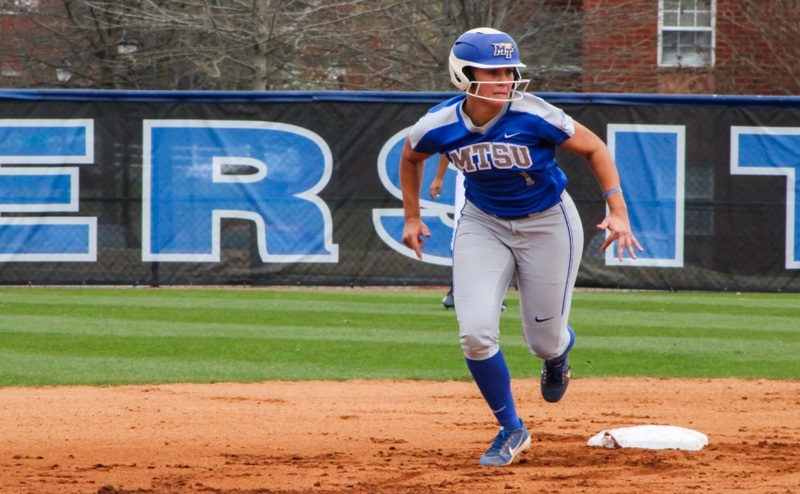 The Blue Raiders had kept the Blazers bats cold, only allowing two hits. One play was a key double play where the Blue Raiders kept a run from crossing the plate and from UAB from chipping at the lead. Another key play came in the top of the seventh when Jennings began to show fatigue. After hitting and walking two batters, Jennings gave up a solid line drive that second baseman Samantha Vacko caught, saving two runs on the play. Jennings recovered to get the final two outs and win the game for the Blue Raiders. The Blue Raiders will be back in action on Sunday to finish the series against the Blazers in a double-header. First pitch is set for noon.